Bach Ma National Park is located 40km away from Hue City Center. Bach Ma used to be one of the greatest relaxing place for people under the French colonial regime. In the past time, when Bach Ma was not considered as a national park yet, it was famous for its biodiversity with a variety of rare animals and plants. 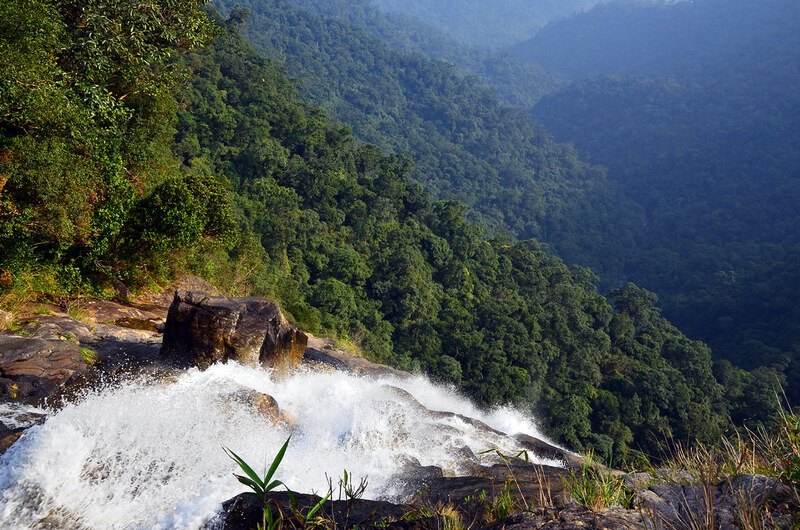 Bach Ma National Park is the top priority for the nature lovers when they visit Hue for the first time. Bach Ma (aka White Horse) National Park located in Phu Loc District, Thua Thien Hue Province. It is one of 30 animal and plant conservation sites ranked National. The diversity and abundance of fauna and flora make this one of the most popular destinations for tourists. If you are a nature lover, Bach Ma is the best destination in Vietnam that you cannot ignore when visiting Hue. Its name originates from a legend that once upon a time, there was often a God from the heaven rode white horses to the mountain to play chess and enjoy the stunning nature as well. One day, the horses were busy seeking grass and going far away, the God couldn’t find them. Then they were back to heaven and left the horses in this mountain. The horses wandered around the mountain, looked for their owners back. They soon became the horse-shaped clouds in the sky and waited for their owners. For that reason, the people here named this place “ Bach Ma”. As mentioned above, Bach Ma National Park is 40 km away from Hue, which is far from the city center. For this reason, tourists usually get confused to decide on the transportation to save money and have a safe trip. 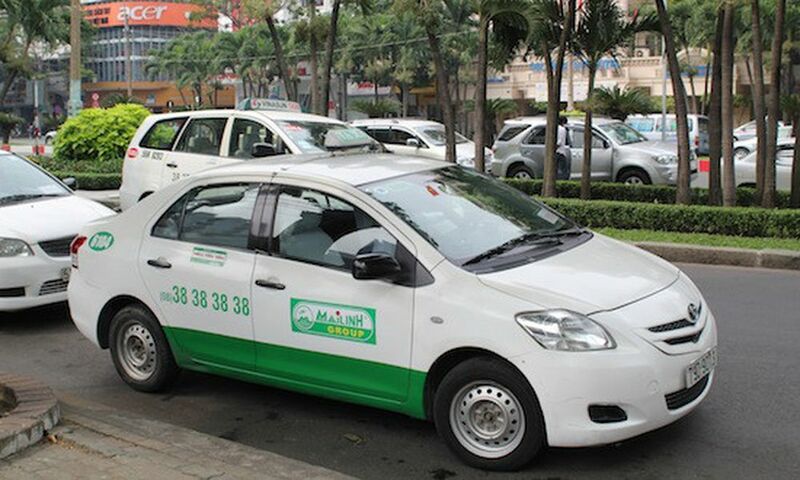 We below list the available transportations in Hue that you can consider as the best choice for you. You can join the group tour from Hue to Bach Ma National Park by Bus to ensure your trip with the best moment which will be accompanied with an English expert guide. He can take you through this stunning attraction with a lot of fun. We hereby recommend the best Bach Ma Private Car service for you to have a safe and comfortable trip to Bach Ma with a reasonable price. If you would like to book motorbike to ride from Hue to Bach Ma, contact us with via email or Whatsapp number. We are always here to help you. There are a lots of lakes and waterfalls to swipe out the heat and humidity of Hue’s climate. The most common and famous one is Five Lakes Trail. The water is cool, clear so that you even see the lake’s bottom. Exploring the distinct different lakes will bring a very amazing experience. However, there will be green mold on the stone along the trail so that they will be slippery. Be careful to take a walk. The Summit Tower, which is 1400m above the sea level, is a must visit place. Being in Hai Vong Dai, you can see Lap An Lagoon, Lang Co Beach and the sight far away. The Summit Tower will be the ideal spot for you to take beautiful pictures of landscapes. In addition, there is a bell that you can ring and wish all the happiness for your beloved ones. 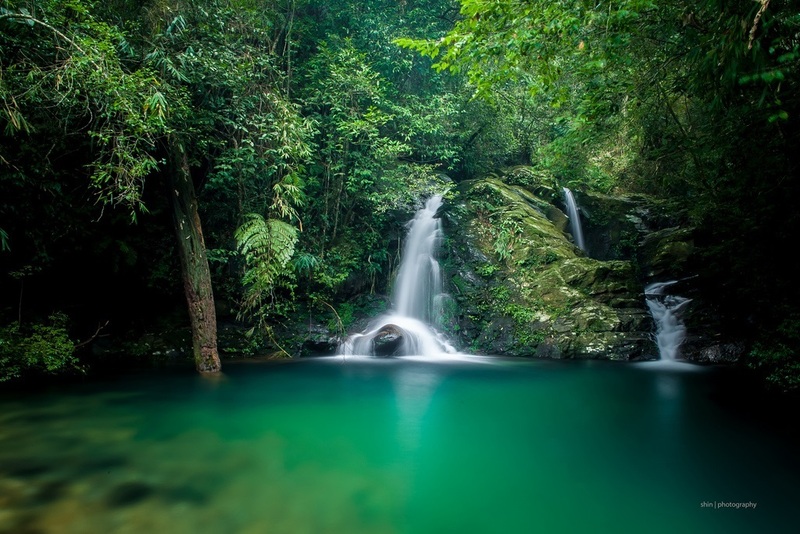 Do Quyen Waterfall, also known as Rhododendron Waterfall, is a famous waterfall with its beauty. Along the trail of Rhododendron flower blooming, which takes 689 steps to the foot of waterfall, you will feel to be lost in a Rhododendron Kingdom. 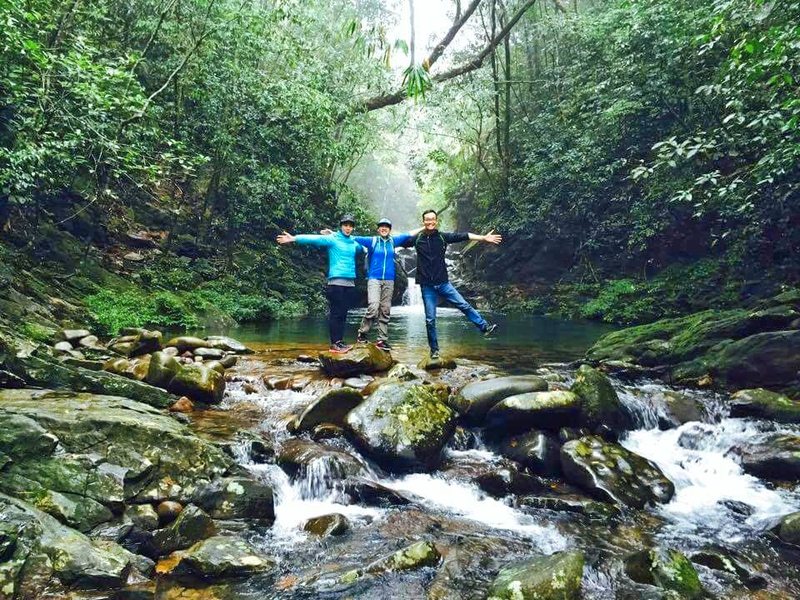 Along with Do Quyen Waterfall, there is also another waterfalls which have their own features satisfying you with wonderful exploration. Picnic is the best choice for your visit in Bach Ma. No one can resist the spectacular view and enjoy meals indulging in the nature. Away from the noisy and busy city, Bach Ma will be ideal for the ones who want to escape from the city and take a rest. It will be better when you have picnic with homemade meals, your companion, and the peace in your mind. Apart from the picnic lunch, you can also choose a restaurant in Bach Ma. Surrounded by the trees, fresh air and many species of flora and fauna, Phong Lan and Do Quyen restaurant in Bach Ma have its unique features. The price is reasonable, service is good and interior design will allure you for the time being there. Bach Ma National Park is a wonderful place for the panoramic views with a lot of interesting activities. If you are a nature and wild animals lovers, this is definitely your “ Mr. Right “ in Hue City. Getting to the top of the mountain with the altitude of 1450m above the sea level, you will get to see the breathtaking scenery from the high peak. Bach Ma Mountain is located in the Truong Son Mountain. In 1932, the French built a resorts area which included about 139 villa, bank, swimming pools, tennis courts, so on with the altitude of 1000 – 1444m. For its unique natural features, French started building many villas to serve them during the war. However, many of them were ruined. Recently, Vietnamese government has restored them to become the tourism services for tourists coming to Bach Ma. You have to set up plans to decide the specific itinerary and the duration of your journey. This visit will take at least nearly one day, for that reason, you need to think about it carefully. Depends on your favour and budget that you can have many choices for your transport and accomodation. We above list them for you to consider, however we recommend you to choose the Private Car for your safety. I mean, there are a lot of terrestrial leeches on the way, so that you have to bring clothes and boots that cover up your legs to avoid the leeches. Besides, the hiking trail will be slippery so make sure that you trek in caution. Bach Ma National Park is a place which includes a variety of fauna and flora, therefore you have to be careful and equipped with you a lot of things. Sunscreen and hat if sunny: The climate is hot and the sunlight from the high altitude will harm you. Make sure that you bring your sunscreen and hat to protect you from the harmful sunlight. Repellent: there are a lot of reptiles in Bach Ma so that bring repellent with you to make sure that you have not any swell. Enjoy our blog? Like, comment or share this article. Read more of way to save more and travel more in Vietnam, head to our blog.